William Hatton was born in Wakeﬁeld, Yorkshire, on 24 March 1920. 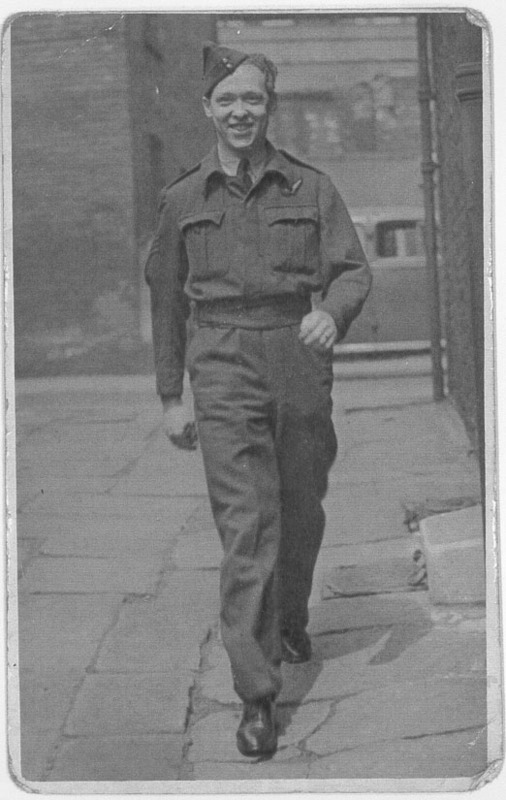 He joined the RAF at the outbreak of war, and worked in groundcrew. In May 1941, he went to RAF Speke in Liverpool where he serviced aircraft in the Merchant Ship Fighter Unit. This was a short lived scheme in which Hawker Hurricanes were sent to sea on special merchant ships, which were equipped with catapults for launching them. The plan was to enable the Hurricanes to be launched far out at sea to help protect the Atlantic convoys. The only drawback was that they had no way of landing, so the pilot had to bale out of the Hurricane and let the aircraft fall into the sea. When the opportunity arose for experienced groundcrew to become ﬂight engineers on heavy bombers, Hatton applied and was sent to the only ﬂight engineer training facility, No.4 School of Technical Training at RAF St Athan. After qualifying as a ﬂight engineer in late 1942, Hatton went to RAF Swinderby, to join 1660 Conversion Unit. There he crewed up with Vivian Nicholson, Antony Stone, John Fort and Harold Simmonds. Their first operational squadron was 207 Squadron, which they joined in February 1943. After a month, the crew, which still had no permanent pilot, was moved on to 97 Squadron at Coningsby, where they were allocated to David Maltby, returning to operations after his inter-tour break. After the raid, all the aircrew were sent on leave. Such was the excitement that a number of local papers covered the story, with Hatton’s arrival back in his home town given the headline ‘A Wakefield Hero’ in the Wakefield Express. The paper sent a photographer to his family house and took the photograph seen above in the street outside. Four months later, on 14 September 1943, Hatton took off from RAF Coningsby on 617 Squadron’s first major operation since the Dams Raid. When their aircraft suffered its final crash it sank with the bodies of all the crew except the pilot, so he has no known grave. William Hatton is commemorated on the Runnymede Memorial.